Learn to improve your life, one smell at a time. Gain the ability to understand how essential oils aid our mental health. Understand the mechanism that essential oils use to increase our wellbeing. Have a pen and paper handy. This is an introductory experience geared towards essential oils and mental health. Feeling stressed out and need to feel reinvigorated. Beginners to essential oils who are curious. Curious about the inner-workings of essential oils. Those who want to learn how to use essential oils for your wellness. Understand that essential oils aren't magic, but they do have an impact on mental health. 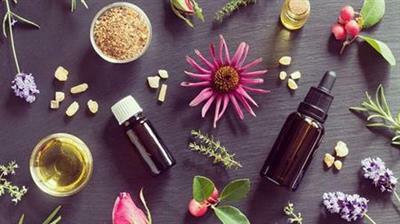 Acknowledge the critical role safety plays with essential oils. Gain knowledge on what mental health ailments essential oils can assist you with. Utilize different reflections and affirmations to work synergystically with essential oils. I hope to see you on this journey! Those who want to improve their life through the use of aroma therapy. Beginners who are just dabbling with the idea of aroma therapy. Aybody who is curious about the impact of essential oils have on mental wellbeing.